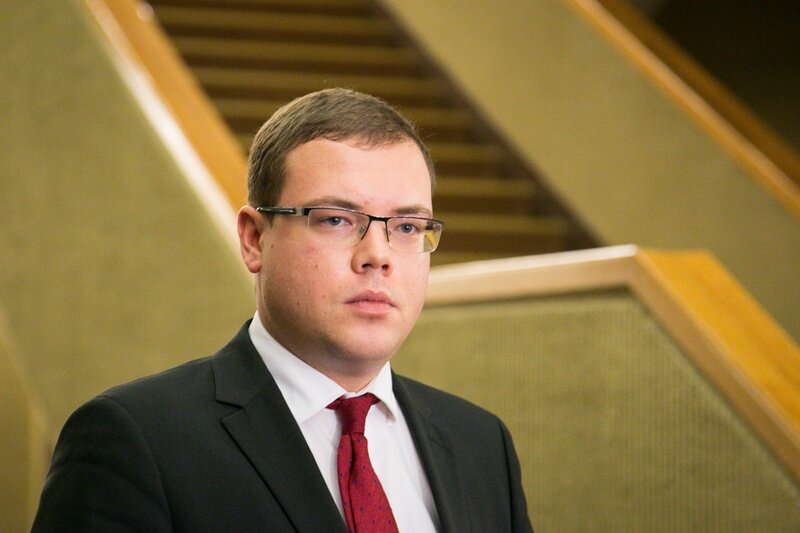 Lithuanian Prime Minister-designate Saulius Skvernelis said on Wednesday that Julius Pagojus will not be able to hold the post of justice minister in his Cabinet. "In light of the circumstances and emerging new information regarding the fact itself and the circumstances surrounding it, it is obvious that he cannot start working in this position," Skvernelis told reporters after meeting with Pagojus. The prime minister expects the justice minister-designate to hand his resignation. "I think we have to give him that chance," Skvernelis said when asked why he was not dismissing Pagojus from his new post. DELFI just announced that Julius Pagojus has just issued a statement asking not to be included in the new Cabinet. 'I hope that my request will be accepted and the Government will be able to implement its objectives without any obstructions'.